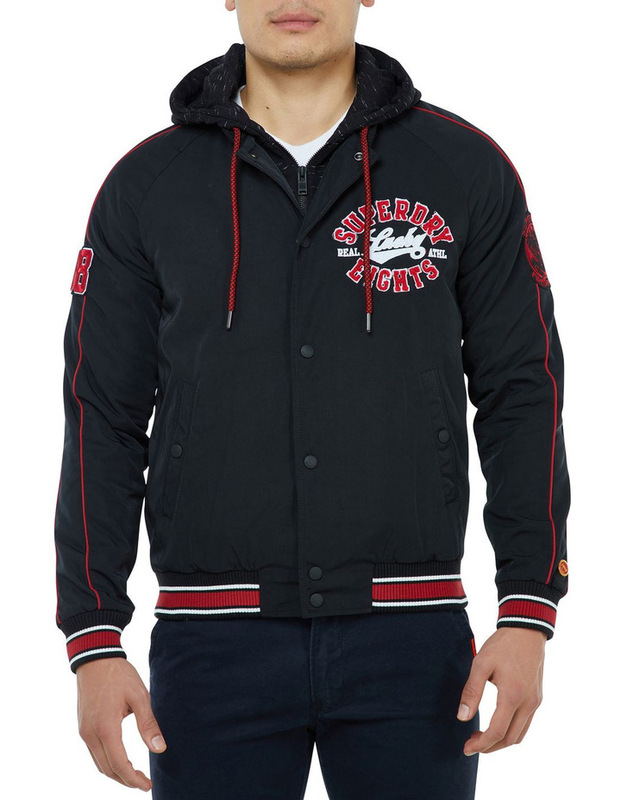 Super dry Men's CNY bomber. 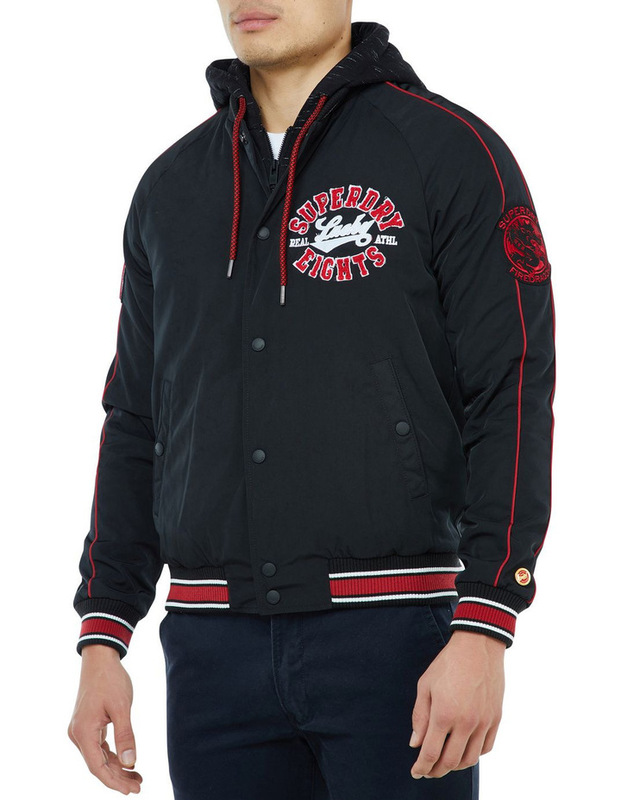 This limited edition chinese New Year Bomber features two external pockets with a popper fastening, contrast coloured ribbed cuffs and waist band and colour piping down both sleeves. The jacket is finished with limited edition. 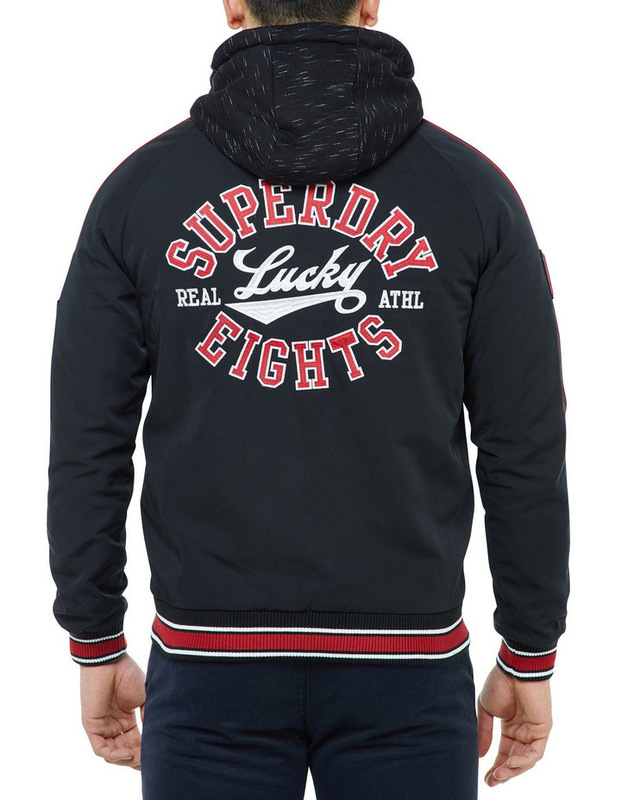 Super dry logo patches on chest and arms.